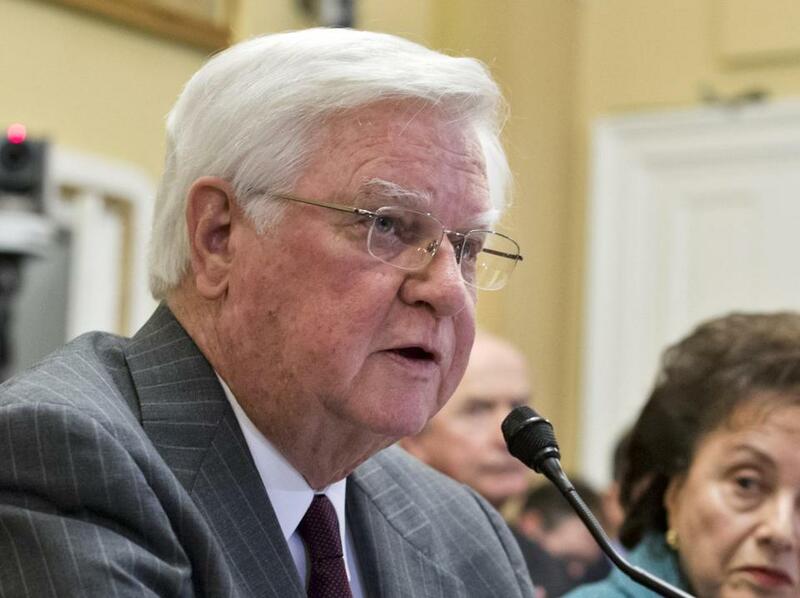 House Appropriations Committee Chairman Rep. Hal Rogers, R-Ky.
A key Republican said Friday that President Barack Obama’s multibillion-dollar emergency request for the border is too big to get through the House, as a growing number of Democrats rejected policy changes Republicans are demanding as their price for approving any money. The developments indicated that Obama faces an uphill climb as he pushes Congress to approve $3.7 billion to deal with tens of thousands of unaccompanied children who have been arriving at the U.S.-Mexico border from poor and gang-ridden Central American nations. And they suggested that even as the children keep coming, any final resolution is likely weeks away in Congress..
Rogers, who had previously sounded open to the spending request for more immigration judges, State Department programs and other items, said that Obama’s request includes some spending to meet immediate needs, and his committee is working to sort that out. Rogers spoke shortly after the Congressional Hispanic Caucus convened a news conference to denounce efforts to attach legal changes to the spending measure that would result in returning the children home more quickly to El Salvador, Honduras and Guatemala. Those countries account for the bulk of the more than 57,000 unaccompanied children who’ve arrived since October. Republicans are demanding such changes, and White House officials also have indicated support, while House Democratic Leader Nancy Pelosi and Senate Democratic Leader Harry Reid left the door open to them this week. But key Senate Democrats are opposed, and members of the all-Democratic Hispanic Caucus added their strong objections Friday that sending the kids home quickly without immigration hearings could put them at risk. Gutierrez said the lawmakers would make that same case directly to Obama in a meeting next week. And he pleaded for Democrats to stand firm. The policy changes in question concern a 2008 law aimed at helping victims of human trafficking that appears to be contributing to the current crisis by ensuring court hearings for the children now arriving from Central America. In practice, that often allows them to stay in this country for years as their cases wend their way through the badly backlogged immigration court system, and oftentimes they never show up for their court dates. Obama administration officials along with Republican lawmakers want to change the law so that Central American children can be treated the same way as Mexican children, who can be turned around quickly by Border Patrol agents.